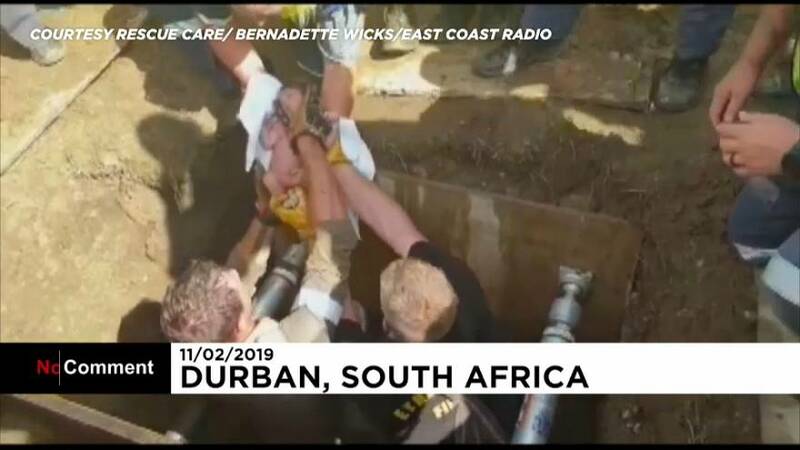 Video footage shows a rescuer passing the baby to a colleague standing above a pit as people celebrate the successful rescue. Rescue Care Paramedics, one of the groups that helped with the rescue effort, said it was unclear why the baby was "dumped" and that police were investigating. The area was dug up and a chisel and hammer were used to break into the drain, the group said.